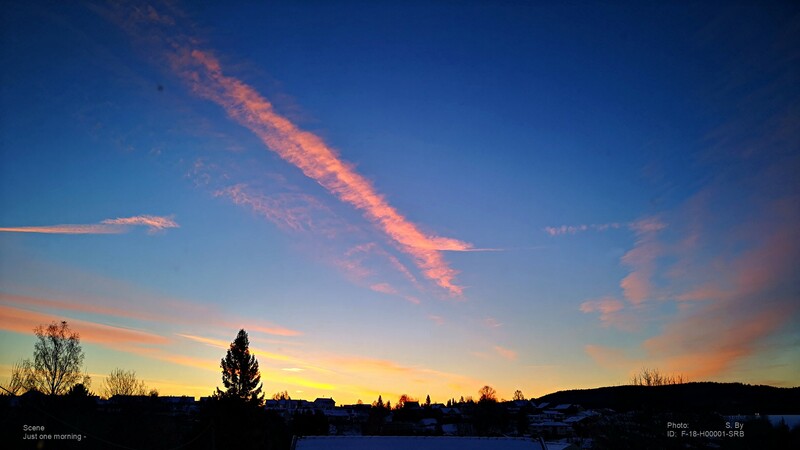 Om vinteren kommer solnedgang og soloppgang på litt andre steder på horisonten her hvor jeg bor, og derfor blir det heller ikke så mange bilder som før, men denne morgenen fikk jeg da avbildet! During the winter season sunups and sundowns arrive at different positions on the horizon compared to where they usually appear, and unfortunately that means less pictures this time of the year! But at least I was in place to get you this sun-up! Og selvsagt benyttet en forbipasserende kråke anledningen til å bli ‘filmstjerne’! And, of course, a ‘fly-by’ crow used this opportunity to become a movie star! 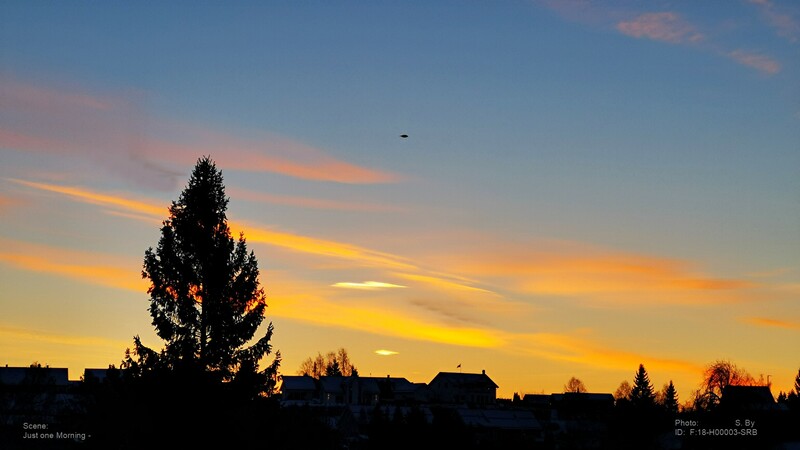 This entry was posted in BUSKERUD and tagged bilde, Buskerud, foto, Norge, Noruega, Norvège, Norway, Norwegen, photo, picture, SeeNorway, Soloppgang, sunup. nature. Bookmark the permalink. Such unusual clouds or are they vapor trails? Awesome shots. Yes, I’m pretty sure the reddish one is a vapour trail that the wind has been working on for some time. The yellow ones look a bit more normal, I should think! Thank you! I’ll try for some more tomorrow if the fog lifts in tme!